I have been waiting to see what you thought of this one. I am with you mike creates such a crazy frightening world, but I can't stop reading it... I am so excited for what comes next. Great review! 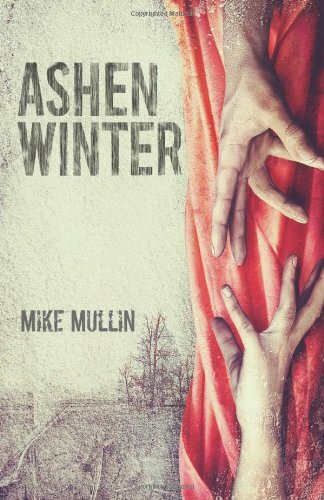 Ashfall is a book that I've been waiting for my eLibrary to get on audio. I really want to give this series a try. The adventure sounds exciting. I fell the same way you did. I still really loved it but there was a little too much action for my taste and I feel really weird saying that. I never thought I would complain about a storyline being too suspenseful. LOL. Still one of my favorite series though. I loved Ashfall, so I was really looking forward to this sequel. I'm so excited, I can't wait any longer to read the sequel. Thanks for the great review! Although there are dangerous quests and violence, what stayed with me after I finished this novel (in one day) was how the characters save each other from the worst. The ending is a cliff-hanger, and I both look forward to and dread what the next installment will bring.